Find All Foreclosure Listings In Laurel Md. Are you looking for Maryland foreclosures? Do you need to access free foreclosure listings in Maryland? You’ve come to the right place. The market is wide open for buyers seeking to learn more about Maryland home sales in an effort to purchase primary or investment real estate in Maryland. What’s Really Going On with Maryland Foreclosures? According to a recent article in The Washington Post, foreclosure filings in Maryland dropped 70 percent in January of 2011, compared to the same time just a year prior. Though this was the steepest drop in the U.S. (the nationwide average was 17 percent lower than in January 2010), this seemingly positive data can be misleading. The nosedive in filings can be attributed in great part to foreclosure proceedings halted as a result of robo-signing investigations. Further, new Maryland foreclosures’ legislation stopped a great number of defaults to promote mediation between homeowners and lenders. Foreclosures abound in the Old Line State, with hardly an end in sight — and free foreclosure listings in Maryland are plentiful. Even with the drop in filings, the state still had over 1,300 foreclosures in February 2011 alone. The market is so littered with Maryland foreclosures that a General Assembly bill is currently being considered that would impose an annual registration fee on owners of abandoned homes (mostly lenders). If passed, the $75 fee will be placed in a fund for maintenance of the empty homes. This new fee would be separate and apart from county fines that are regularly imposed on owners for property code violations. If you are a buyer seeking to find free foreclosure listings in Maryland, rest assured, banks and mortgage companies are eager to negotiate and shed REO inventory from their books. You’ve chosen an excellent time to invest in Maryland real estate. As you begin your home search, you will need a seasoned real estate professional by your side. 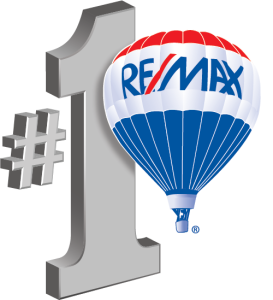 I am Brien Berard, a Realtor® with RE/MAX Professionals, the world’s number one selling RE/MAX company. Armed with almost seventeen years of experience in successful Maryland real property transactions, I’d like to be your Maryland foreclosures’ concierge. Whether you are a novice seeking to learn how to buy foreclosures, or a seasoned investor researching free foreclosure listings in Maryland, I am here to assist you, every step of the way. As you have questions and prepare to view homes, contact me directly. I look forward to answering all your Maryland real estate questions and to being your real estate advocate and personal guide to locating free foreclosure listings in Maryland.